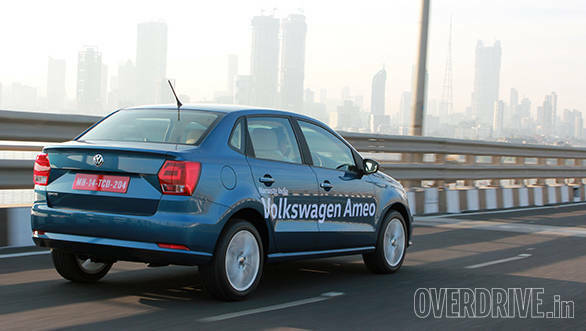 Sources close to Volkswagen confirm that the Ameo compact sedan will enter production on May 25, 2016. 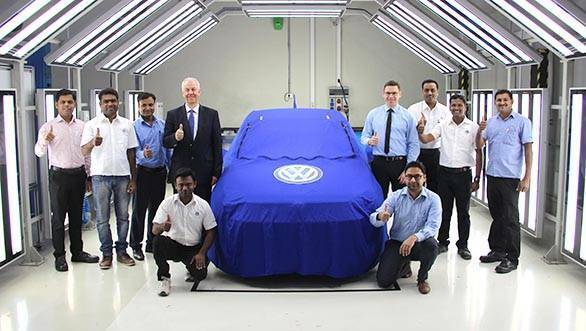 The first batch of the production cars will roll out from Volkswagen's plant at Chakan in Pune, Maharashtra. The Volkswagen Ameo is a compact sedan based on the same PQ25 platform that underpins the Polo and Vento and uses the same engine options as the hatch viz. a 1.2-litre petrol and a 1.5-litre diesel, albeit in different states of tunes. The Ameo isn't a chopped Vento but a Polo with a boot. That essentially means that the wheelbase is identical to the hatchback and so are cabin space and the angle of the backrest for the rear seat. Expect the boot space to be in the range of 275-325 litres. Unlike the car showcased earlier though, we will see LED daytime running lights on the final production-spec Ameo. For more information on the compact, take a look at our detailed preview of the Volkswagen Ameo.